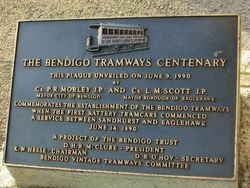 A plaque commemorates the establishment of the Bendigo Tramway service in 1890. 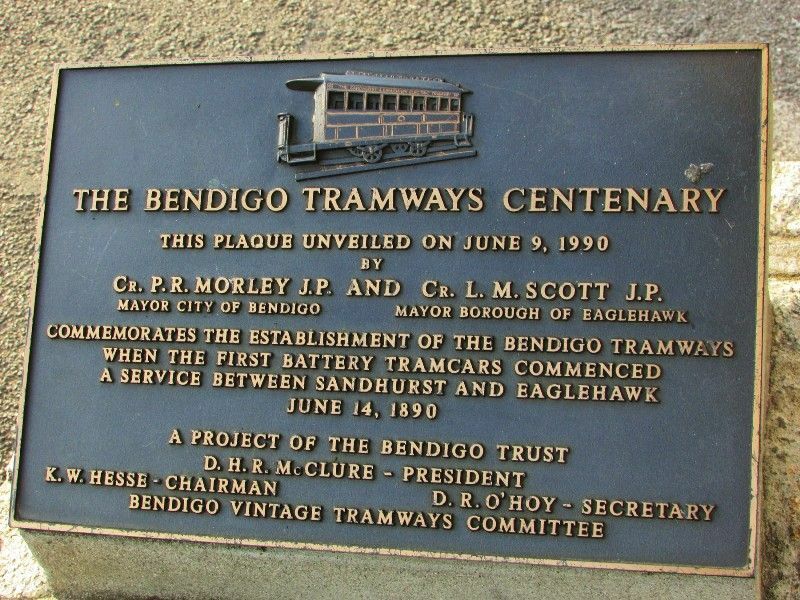 The Sandhurst and Electric Tramway Company was the first to blaze a trail when it introduced battery trams to Bendigo in June 1890. 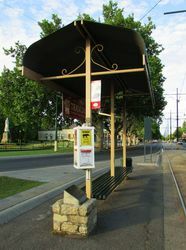 Unfortunately they had made a serious miscalculation, as the batteries quickly proved inadequate for the hilly terrain of Bendigo. After a couple of months battery trams ceased running and were later replaced by steam trams in February 1892.